In case you want to start repairing your deck, you surely need to approach the right service. Among the different services, try to choose the one with the most outstanding feedbacks, the highest rankings and of course the one that offers the most affordable price. Try to look for a company that has a BBB (Better Business Bureau) accreditation because they’ll do the job perfectly. On the other hand, if you are a handy person and can dedicate enough time, you may do it on your own as a DIY project and save your money. Of course, we don’t promise that it’ll be an easy task to complete, but if you have enough experience of working with wood, this won’t be one of those hardest things to do. Here are 3 basic steps you need to follow to successfully repair your deck. The entire deck needs to be inspected before starting the process to understand which parts need to be replaced and which ones need to be refreshed. First of all, it’s important to pay a special attention to the parts that are directly touching the ground (stair stringers, posts or ground-level joists) and see whether they are in a good condition or they need a to be replaced. After, it’s very important to tighten the fasteners that attach the deck to the house. If there are any bent or missing ones, you surely need to fix them because safety should be put on the first place. Next, try to find any cosmetic damages and fix them by tapping down the popped nails or even replacing them with screws (as they don’t pop like nails). In case there are any damaged boards, of course instead of tapping the nails down, just remove them (nails or fasteners) and pull the damaged board straight up not to damage the others by using a pry. Replace them. It’s not a secret that every deck needs to be cleaned annually. In most cases, this cleaning simply revives the decks and gives a fresh and new look. Here we clean the deck in order to get rid of any dirt so we can easily apply the stain. Applying the stain on the dirty deck will make the situation worse – it’ll look untidy and later you can do nothing about it. The dirt will stay there, under the stain! So after fixing all the decks and before starting the cleaning process don’t forget to wear eye protecting glasses and special gloves as you’ll be working with concentrated chemicals. And in case there are plants nearby cover them with plastic sheeting as its leaves will most probably get burnt. Go over your deck with a stiff bristle brush to work the cleaner into the wood fibers and then rinse. The boards need to be kept damp as in that case, the cleaning solution works effectively. It’s very important to let the deck dry thoroughly before starting the staining process. Surely there are hundreds of deck-cleaning products available – sodium hypochlorite, sodium percarbonate, oxalic acid, sodium hydroxide, etc. but each of them is effective for different types of decks. The first type may clean your neighbor’s deck but not necessarily yours. So before buying one, make sure you choose the right product (reading the package instructions may be very helpful). We come to this step only when our decks are fully repaired and are completely clean. 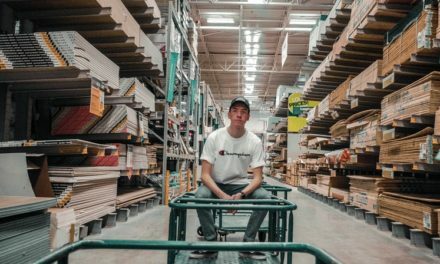 In case you have new wood you may apply clear finishes and transparent stains otherwise, we recommend using a semi-transparent stain as it gives the old wood a uniform, clean color. We also need to mention that unlike the clear finishes, the semi-transparent stain pigment provides additional protection from the sun and its possible damages. This may not tell you a lot, but the semi-transparent stain surely prolongs the life of your deck. It’s better to choose the stain and not paint as it doesn’t create an additional layer so it doesn’t peel or chip on its surface: it’s being absorbed by the wood. Yes, it doesn’t peel, but it wears away in high-traffic areas and this is the reason why we recommend applying a fresh coat of stain every year. Doing this every year will be helpful for your deck: the wood will stay solid and will serve you more. To apply the stain we recommend using a sprayer as it’s fast and comfortable. It puts more strain on the wood. And in case you’re thinking about how to avoid painting the nearby brick, just use a piece of cardboard (or something like that) as a spray shield. These were the 3 basic steps on how to repair your deck. It’s not hard, but in case you feel like you will not be able to repair your deck properly on your own, there’s always an option of approaching the professionals. 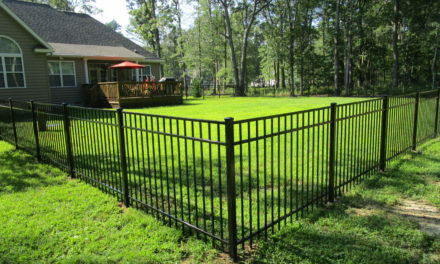 Aluminum Vs. Wood Fencing: Which One Is Better?